Lafayette Ambassador Bank® was looking for an on-the-spot reward to give to employees who successfully met the bank's customer service and performance standards. They decided to reward employees with Pizza Cards that allowed employees to purchase a pizza, free of charge. Once an employee received their card, they were directed to a branded landing page and prompted to enter their reward code. 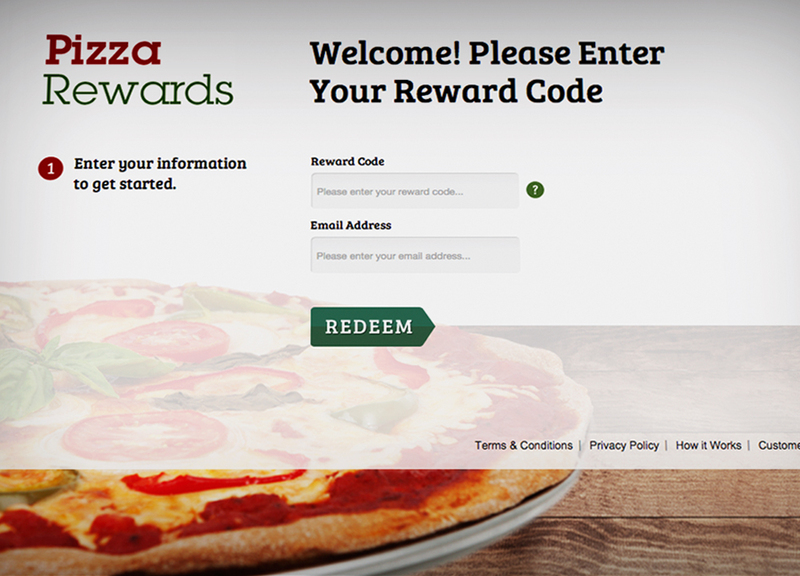 Once the code was entered, they got to select which pizzeria they wanted to buy their pizza from: the pizza platform offers deals from over 50,000 restaurant locations. Due to their naturally flexible nature and low-shipping costs, branded cards remain one of our most popular delivery methods. Not only are they compact and lightweight, they are also manufactured onsite in the U.S.A, which makes shipping even easier. Additionally, their small size makes it easy to store in desks for on-the-spot use. Because they hold inherent value with consumers, branded cards are the easiest way to deliver rewards for any kind of promotion. 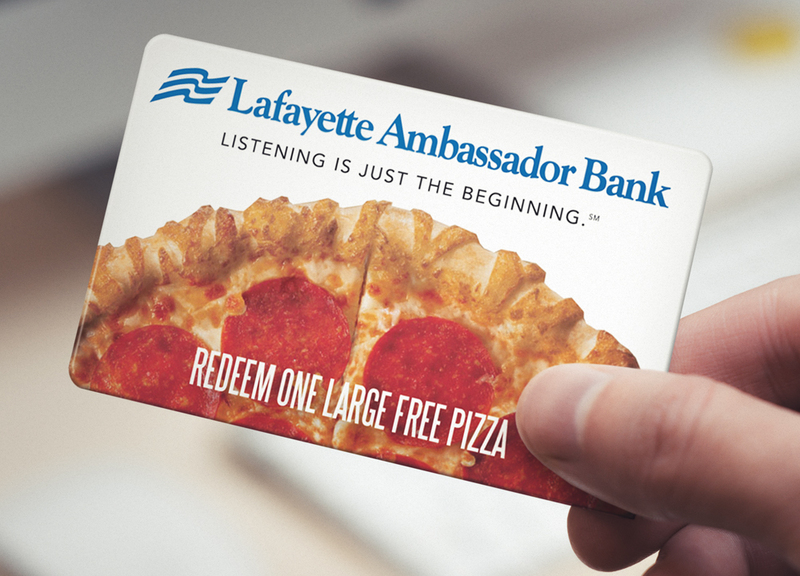 Lafayette Ambassador Bank hit the spot with Pizza Rewards.